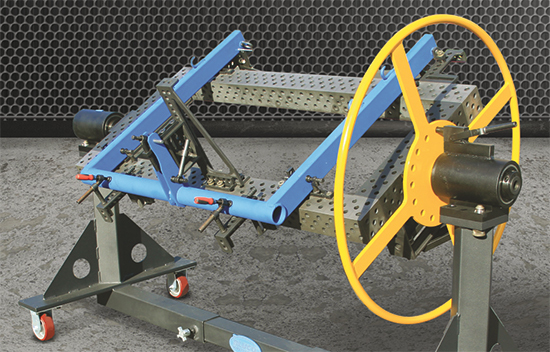 Bluco will display its new line of manual rollover positioners, ready for use as standalone weld-fixturing solutions or to complement an existing Bluco fixturing setup. With 360 deg. of rotation, the positioners provide welders full access to all sides of the part. And, because rotation is clocked in 22.5-deg. increments (custom increments available), the part can als be located at the ideal welding position for each joint.